Our digital transfer service can help you digitise your old and obsolete analogue formats. Our digital transfer service has been formed in response to the growing need for digital conversion, fostered by the rapid advancement and prevalence of digital and online media, and with it the equally rapid obsolescence of older, analogue formats. 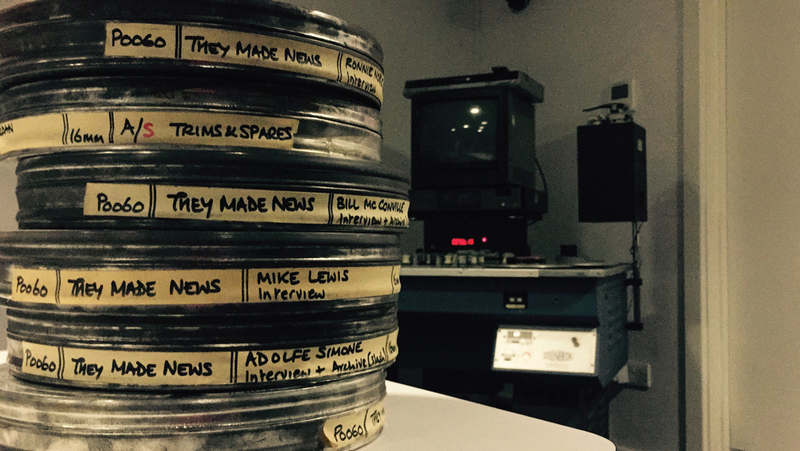 We have a wealth of experience in film transfer and digitisation, having previously undertaken projects for ITN, Channel 4, the Associated Press, Tavistock & Portman NHS Trust and the University of Westminster. The service is open to both members and the general public, whether you are an individual with some rediscovered family film footage, or an organisation interested in converting a library for archival or online delivery purposes. The lists below show the various formats, both analogue and digital, that we handle, as well as the output formats we can provide. If a format you are interested in is not detailed please contact us with your enquiry. We may still be able to help. If you would like menus and chapters added to your DVD we are happy to do so and will discuss options with you prior to commencing work. Costs will vary. Should you require it, a watermark can be added to your video files to discourage unauthorised reproduction. To discuss how we might be able to help email digitaltransfer@learningonscreen.ac.uk or call 020 7393 1503.